The french refer to someone as "jolie-laide" if they are an unconventional beauty. The literal translation of the phrase is "pretty-ugly." I think the women I find the most lovely/interesting/compelling fall into this category. 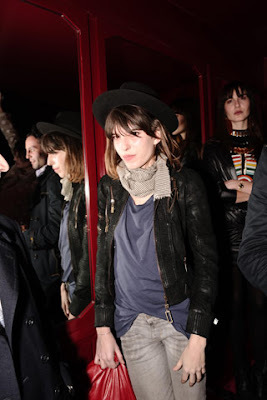 Here are two of my favorite style icons--sisters Charlotte Gainsbourg and Lou Doillon. They share the same mum, Jane Birkin, who was arguably more beautiful at their age, but I don't think it's slowing these two down at all.